I read Neil Gaiman and Michael Reaves’ InterWorld back before I started blogging, and I loved its sci-fi plot. Its tone reminded me a bit of a grim Diana Wynne Jones – with a full measure of inventiveness, a couple of unreliable characters, mystery and worlds unknown. I packed that book up when I moved across the country, and I haven’t read it since. When I went through the spring YA catalogs I was surprised and pleased to see a sequel is on its way. 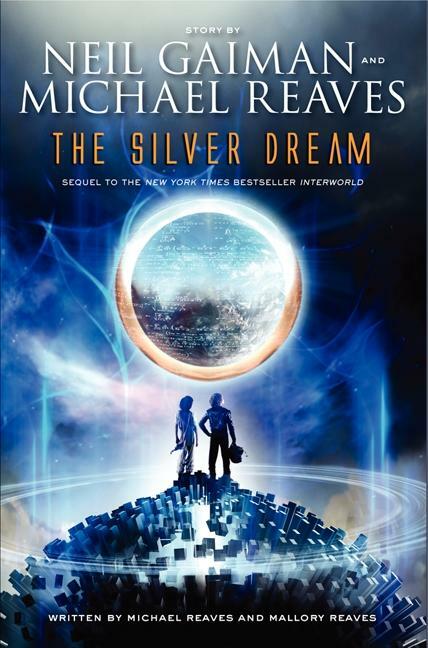 The Silver Dream: An InterWorld Novel by Neil Gaiman and Michael Reaves will be released by HarperTeen on April 23, 2013. The sequel to the New York Times bestselling fantasy adventure InterWorld, from award-winning and bestselling team Neil Gaiman and Michael Reaves. Full of riveting interdimensional battles, epic journeys between worlds, and twists and turns along the way, this sequel to InterWorld is a thrilling, mind-bending adventure through time and space. Sounds exciting and a little like we might get a romance. I haven't read Interworld yet but since this is Neil Gaiman, I am sure this would be AMAZING. I haven't heard of this series! MUST get my hands on the first book!